For senior Aaron Veincent, reality is finally taking him by his feet and dragging him along on a ride. It's his final year in high school, and he's absolutely not ready for it! 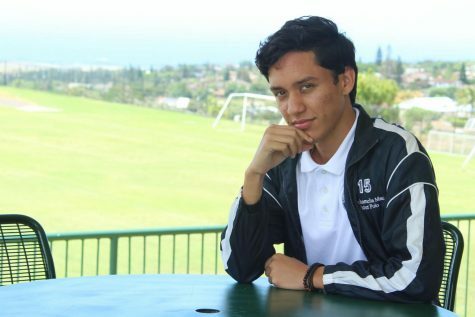 With a lot on his shoulders, he has truly accomplished his goal of putting himself out there; however, being an editor for Ka Leo o Nā Koa, Nā Koa and Pūlama, the yearbook, he's got a lot of designing and writing in store for him this year. With one year of journalism done and one to go, his experience makes him all the more dedicated to doing his best on these publication while still enjoying his last year as a kid.